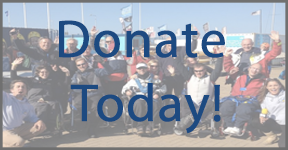 In Autumn 2014, Chesil Sailability was awarded a grant from Inspred by 2012 Health & Wellbeing Legacy Fund, part of Dorset County Council in November 2014. ‘This is the first time since my accident 20 years ago that I have been involved in a regular, social and healthy outdoor activity, and its making a real difference for me’ (Chesil Sailability sailor, June 2014). This project extends that opportunity to sail with ‘peer to peer’ support for people with long term health problems/disabilities across Dorset, working with Chesil Sailability sailors, health and wellbeing groups and the ‘My Health My Way’ service. We are finding that we have groups of sailors with specific conditions, e.g. stroke, spinal injury, neurological conditions, visual impairment, learning difficulties, as well as carers and that there is great mutual support within these groups We want to encourage people with long term health problems (or conditions) & disabilities to try sailing, so that they can themselves be ‘involved in a regular, social and healthy outdoor activity’ and provide them with ‘peer to peer’ support from our current sailors who are self-managing their health conditions or disabilities. If you have long term health conditions or disabilities…. You can have a mentor to start you sailing journey with, who may have a similar long term health condition, set of symptoms or disability as you. You can also access support to manage your health from My Health My Way. If you are a group or network of people with health conditions or disabilities…. We would love to come and talk to your group with our mentors, about sailing, their experiences and fears and highlights. If the venue is suitable, we can also bring one of our small dinghies along for people to see. If you are a health or social care professional that works with people with long term health conditions or disabilities…. We would love to support you to work in partnership with our sailor mentors to spread the word about these opportunities to engage in a healthy outdoor activity. Many of our sailors find sailing has helped their self-management, and we are linked with NHS self-management service, My Health My Way, to further support people manage their conditions and wellbeing. If you would like to help champion this, please get in contact. As part of this project, we will also be taking our boats to other sailing venues in Dorset for out-reach taster sessions. More details of these will follow.